Sherlock is a British-American crime drama television series based on Sir Arthur Conan Doyle‘s Sherlock Holmes detective stories. Created by Steven Moffat and Mark Gatiss, it stars Benedict Cumberbatch as Sherlock Holmes and Martin Freeman as Doctor John Watson. Ten episodes have been produced, with three-part series airing in 2010, 2012 and 2014, and a special episode airing on 1 January 2016. A fourth series has been commissioned, which began filming in April 2016 for an intended 2017 release. The series is set in the present day, while the one-off special partly features a Victorian period fantasy resembling the original Holmes stories. Sherlock is a co-production between the BBC and WGBH Boston for its Masterpiece anthology series on PBS, with Sue Vertue and Elaine Cameron of Hartswood Films serving as producers. The series is primarily filmed in Cardiff, Wales, with North Gower Street in London used for exterior shots of Holmes and Watson’s 221B Baker Street residence. Critical reception has been highly positive, with many reviews praising the quality of the writing, performances, and direction. 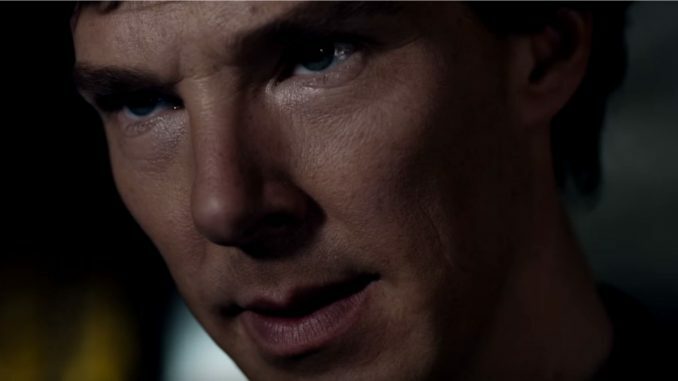 Sherlock has been nominated for numerous awards including: BAFTAs, Emmys, and a Golden Globe, winning several awards across a variety of categories. The show won in three categories at the 66th Primetime Emmy Awards including Outstanding Writing for a Miniseries, Movie or a Dramatic Special for Moffat, Outstanding Lead Actor in a Miniseries or a Movie for Cumberbatch, and Outstanding Supporting Actor in a Miniseries or a Movie for Freeman. In addition, the show was also honoured with a Peabody Award in 2011. The third series has become the UK’s most watched drama series since 2001. Sherlock has been sold to over 200 territories. All of the series have been released on DVD and Blu-ray, alongside tie-in editions of selected original Conan Doyle stories and original soundtrack composed byDavid Arnold and Michael Price. In January 2014, the show launched its official mobile app called Sherlock: The Network.